Here is Some Information about Someshwara Temple in Gadag Karnataka India. Someshwara Temple is located at Lakshmeshwar in the Gadag district about 55 km from Hubli Karnatka India.The temple was built in 12th century and built by Chalukyas.The temple is dedicated to Lord Shiva but here known as Someshwara.Somesshwar Temple flourishing religious center during the days of the Chalukyas. As per an inscription dated 1102 CE where god is referred as Muddesvara and later the god is referred as Svaymbhu-Somanatha or Dakshina-Somanatha.The beautifully sculpted idols of Shiva Parvathi and Nandi in this temple were brought from Saurashtra by a Shiva devotee and hence it is sometimes called as Saurashtra Someshwara. The Someshwara Temple at Lakshmeshwar is a fairly big and beautiful temple where daily worship is still performed.The temple complex with three main entrances is surrounded by high walls look like a fort. It is a splendid specimen of Chalukya architecture.In middle of the temple complex, there is a Someshwara temple, surrounded by many small temples mainly dedicated to Shiva, along the compound wall, built with granite, some halls in the complex meant for resting devotees. History records that in the past it was the headquarters of 300 villages. During the 11th century AD, a local chieftain, Lakshmerasa had constructed a Shiva temple dedicated to Lakshmaneshwara. Later, the town came to be known as Lakshmeshwar. 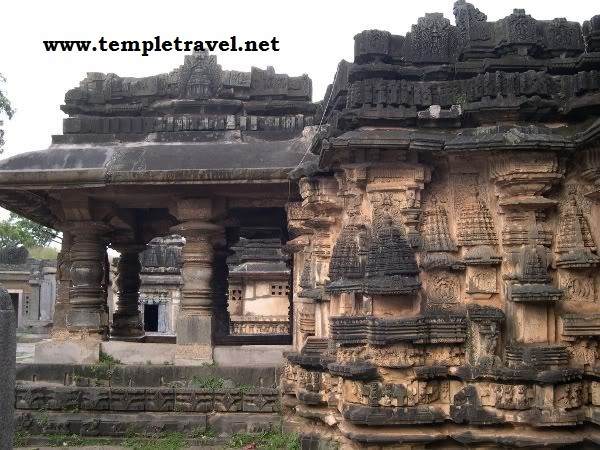 The Someshwara temple is an important sacred structure here. Built in the 11th century AD, it represents the ornate Chalukyan style of architecture with friezes of elephants and richly carved elaborate motifs. There are 16 bell-shaped decorated pillars. The temple has the idols of Shiva and Parvati riding a Nandi (the bull) in the sanctum sanctorum. It is interesting to note that it is the only temple in Karnataka with such a rare idol of Shiva and Parvati on the Nandi. There are three entrances to the Someshwara temple. The high walls of the Someshwara temple lend a feeling of a fort. 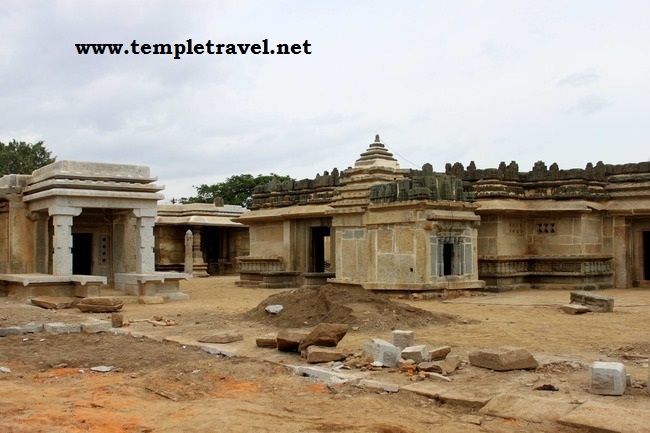 It is a superb specimen of exclusive Chalukya art and architecture. The principal deity that is worshipped in the temple is Lord Shiva. 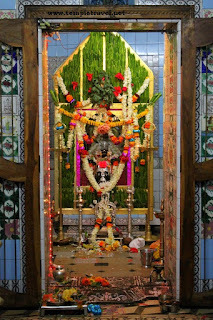 It is believed that an ardent devotee’s wishes are fulfilled here. There are many small temples surrounding this big temple. All these temples also boast of rich architecture and sculptures that have been so neatly carved. 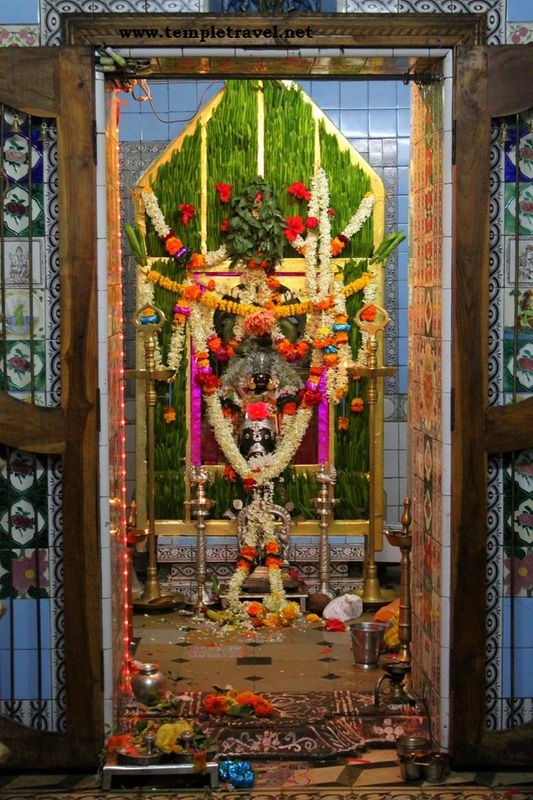 The temple is located at Lakshmeshwar which is about 55 kilometres from Hubli. The temple was built by the Chalukyas during the 12th century and a token of their devotion to Lord Shiva. 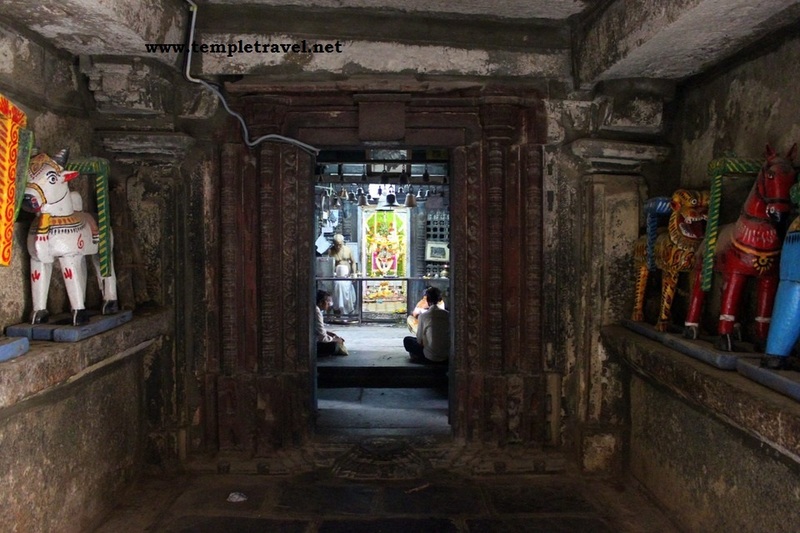 The temple’s hall, navaranga, entrance porch or mukha mantapa has beautiful stone carvings. The beautiful idols of Shiva Parvati and Nandi have been exquisitely sculpted. The Badami Chalukyas of Deccan encouraged art and architecture and this is clearly visible in the paintings and art structures of the temple. It was during this time (1050 to 1200 CE) that the Gadag art form was encouraged by King Someshwara I. Around 50 temples were erected during this period. Carved figurines of gods and goddesses have been chiselled beautifully in the temple. 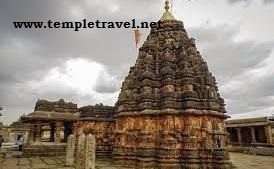 By Road: There are many public and private vehicles availoable to reach Someshwara Temple in Gadag Karnataka .The KSRTC Buses available and Gadag is well connected major cities.You can go to Gadag or Hubli and then proceed to the Someshwara temple. 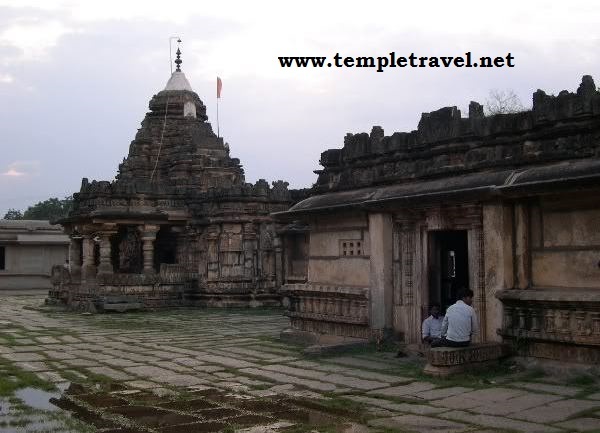 The bus route from Dambala to Shirhatti is around 35 kilometres and from here you can reach Lakshmeshwar. By Rail: Gadag has own railway station so Nearest Railway station is Gadag station. By Air: The Nearest Airport is Hubli Airport about 50 Kms from Someshwara Temple in Gadag .